Cali Banh Mi, a Vietnamese fast-casual eatery that first opened as Cali Baguette on Convoy Street in Kearny Mesa in 2011, will soon install an outpost in Pacific Beach. A rebranded offshoot of San Diego's Cali Baguette chain, Cali Banh Mi is a Vietnamese eatery and deli market owned by Mitchell Nishimura and Kieu Phung. 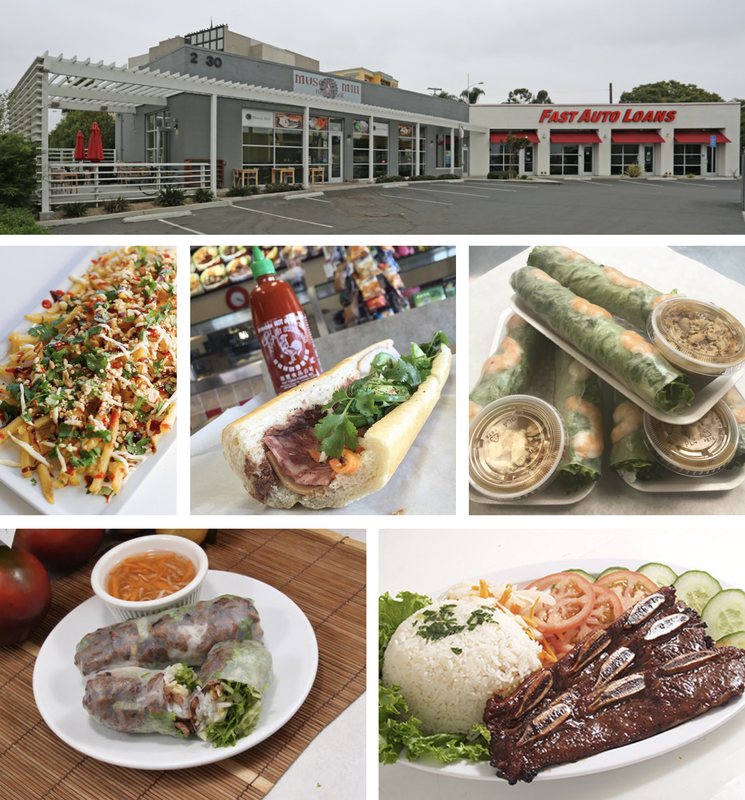 The casual restaurant serves a wide array of Vietnamese dishes, including a large variety of spring rolls, egg rolls, soups, banh mi sandwiches, jam packed meat & veggie bowls, entree-portioned rice plates, acai bowls, smoothies, boba teas, coffee and more. Located right off the I-5 Freeway as you enter Pacific Beach, the new Cali Banh Mi location will move into the ample space that previously housed Muscle Mill Grill & Cafe. The eatery will offer a menu similar to the Convoy branch but with more health options to appeal to nearby World Gym clientelle, as well as items to-go from an onsite retail market and a menu of wine & beer. There will be indoor and outdoor seating on both a front and side patio. Cali Banh Mi Garnet coming soon! Cali Banh Mi is expected to open this Summer at 2830 Garnet Avenue, #100, in Pacific Beach. For more information, visit calibanhmi.com.